LEDGlow’s Pink Wireless SMD LED Underbody Lighting Kit universally fits 126 ultra-bright pink SMD LEDs housed in (2) 46” and (2) 36” underbody tubes to any car! 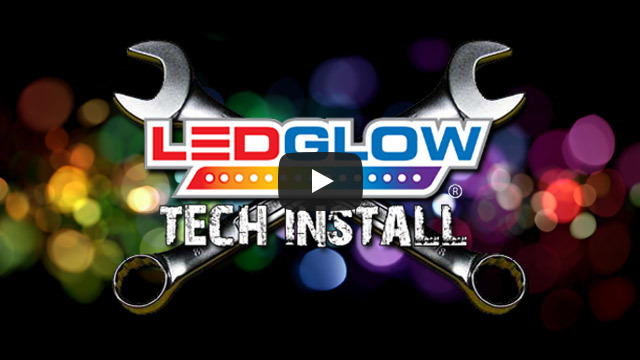 LEDGlow’s new and improved Pink Wireless SMD LED Underbody Lighting Kit universally fits 126 ultra-bright, wide angle SMD LEDs housed in (2) 46” and (2) 36” underbody tubes to any car. Featuring a flat mount tube design with 15 degree angled mounting brackets that take up less space than the previous model, this revamped underbody lighting kit produces a much brighter and stronger color spill that surrounds the bottom of the vehicle for a custom, head turning look! Ordered for my daughters 16th birthday. Great lighting kit and very economical pricing compared to others! Installation was a breeze for both underbody and interior! I was surprised at how quickly the order shipped and arrived! Definitely recommend these lighting kits to anyone looking! These were so easy to install and look great! I'm so happy with my purchase and the result! I just installed these three kits and they look great , I was reluctant at first because I got the underbody for 89 and wheel wells for 40 and interior for like 36 dollars but the kits are amazing , fenominal color, the settings are ridiculous , there are so many and that is why I have made multiple referrals to you guys and have already sold twelve kits for you guys. I am now about to purchase the 4pc strobe lights to put inside my grill, woooo. My car is the freshest on the streets and will be showing it off and advertising your product. The kits should be professionally installed unless you have a lift and are pretty savvy. It took close to eight hours to install correctly and hide all the wire. But the end result is incredible.